Stress is good for you? What? Avoid stress? Impossible! To be alive is to be under stress. But stress is not necessarily bad for you; it is also the spice of life; any activity causes stress. The same stress that makes one person sick can be an invigorating experience for another. With too little stress you’d be bored to tears; but with too much you’d develop emotional and physical disease. Properly handled, however, stress can mean a life of challenge, excitement and growth. The biographies of great scientists, explorers, artists and other creative people reveal that times of intense stress are also times of insight, creativity, accomplishment and growth. In olden days we’d confront a lion, tiger or bear and run away from it. After we were safely away our stress levels would drop. Or we’d fight it and kill it so it would become our dinner and our stress would disappear (or we would become its dinner, in which case we would definitely kiss all earthly stress goodbye). But what if you have a fight with your boss or spouse? What about making a living and paying bills? You can’t run away and you can’t kill – you have to cope. Living in this world of not quite fight and not quite flight causes us to often carry around unresolved, chronic stress that has been linked to nearly every disease or condition: colds, infection, ulcers, digestive troubles, high blood pressure, asthma, arthritis, heart disease, cancer and premature aging. This unresolved stress slowly robs you of health and vitality and, ultimately, of life itself. Chiropractic provides everyone, no matter what their age, with a powerful way of defusing and reducing chronic stress, and gives us the energy to handle stressful situations so we’ll benefit from the experience. Chiropractors are specially trained to locate and correct a severe, destructive, chronic stress that blocks your energy, interferes with your life expression and reduces your ability to function at your full potential: the subluxation. Most people have subluxations in their bodies for years without knowing it; all the while they slowly fall apart – energy levels drop, diseases appear and increasing body wear and tear accelerates aging. It’s similar to a house with termites – no apparent damage at first but one day the floor collapses! Only doctors of chiropractic specialize in the location and correction of subluxations – this promotes better adaptation to environmental stress, whether physical or psychological. That is why it’s so important for everyone to see a doctor of chiropractic on a regular or periodic basis. No matter what your health problem, keeping your body free from subluxations will permit you to better deal with stress, heal better, function better and enjoy life more. Are you carrying around chronic subluxation stress? Are your loved ones? See your chiropractor to get the subluxations located and corrected. 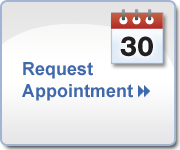 Call the office at 303-841-7121 to schedule your appointment with Dr. Ryan Hatch serving Parker, Highlands Ranch, Lone Tree, Centennial and Castle Rock CO. If you have a question, you can contact the Hatch Chiropractic staff using the form below.